Explore Business English is an intermediate level of business English textbook offering basic business letter formats and useful expressions for learners in business English. It is both suitable for classroom instruction and self-learning. 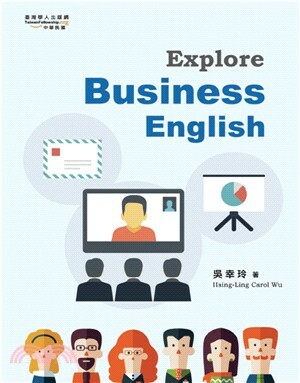 Learners’ business English proficiency will improve by familiarizing the formats and useful expressions in this book. Hsing-Ling Carol Wu received her MA in TESOL from Northern Arizona University and her Ed.D. from La Sierra University. She is currently associate professor at the Applied English Department, Overseas Chinese University.